So in class we started talking about Italian wines a couple of weeks ago. It it is not the easiest country to figure out, aside from the well-renowned regions like Piemonte or Tuscany, especially when it comes to grape varieties. Of course there are the big names, but every time I attend a tasting of Italian wines I make loads of new discoveries, varieties from appellations I have never heard of.Some of them are so obscure that I simply forget about them after a while but sometimes you come across one that just stays with you. The wine that I will present today is the Teroldego Roteliano 2010 made by Elisabetta Foradori. Teroldego is one of the oldest varieties grown in Italy and can only be found in Trentino (Northern region). 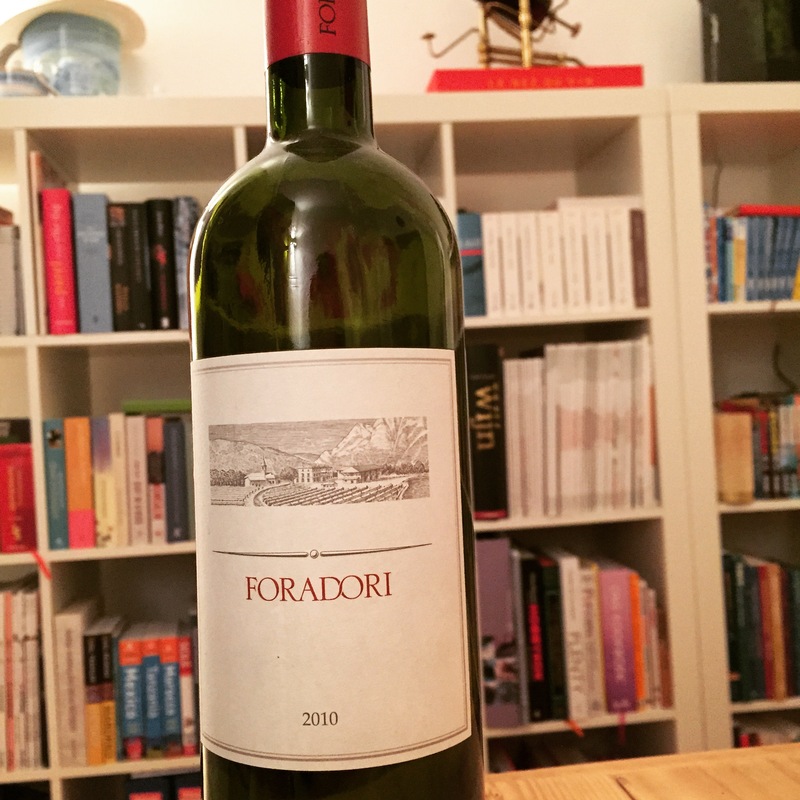 Difficult to grow, as it is prone to diseases and fungal infections, it has long been neglected until the Foradori family made it its mission to show what teroldego could be capable of. What Elisabetta Foradori did for the variety is nothing short of revolutionary. The vines used to be trained in pergola (overhead), which may look pretty but is neither practical nor suitable for healthy grapes. Elisabetta opted for the more traditional Guyot training which is more common in the rest of the world. Furthermore, the estate adopted biodynamic and organic viticultural principles. The estate has been experimenting with wines aged in amphora over the past years for both white and red. They may be relatively expensive but well worth seeking out as they are showcases of how purity translates into wine. The Teroldego Roteliano is the entry-level wine, accounting for about 50% of the total production. Grown on limestone and granite the wine starts off slightly reductive but on the earthy side. It takes some time to open up and we move on to delicate fruit, blackberries and slightly jammy raspberries but nothing too overbearing. On the palate it comes of a bit tight at first with a dominating smokiness, which is probably due to the aging in oak. It fades away though as the acidity kicks in refreshing the palate but retaining fleshiness well supported by tannins towards the finish. There is a very distinctive spiciness towards the end that amplifies the richness while maintaining enough elegance. It’s the perfect wine to end the winter and to slowly but softly start enjoying spring! NB – I would also recommend checking out the extremely informative website of the estate, the illustrations may look familiar!